How Trump is massacring his brand. There’s this reasoned theory that Trump just wanted to use the election campaign as a marketing tool. It worked out really well. A national (US-) brand went international; the mere-exposure effect is tremendous: If only 15% of the world’s population (about 1 billion people) followed the media coverage just 30 minutes per week during the yearlong campaign, the advertising value would be not less than 3 billion euro (assumed international CPM of $ 10 as average of TV and radio). 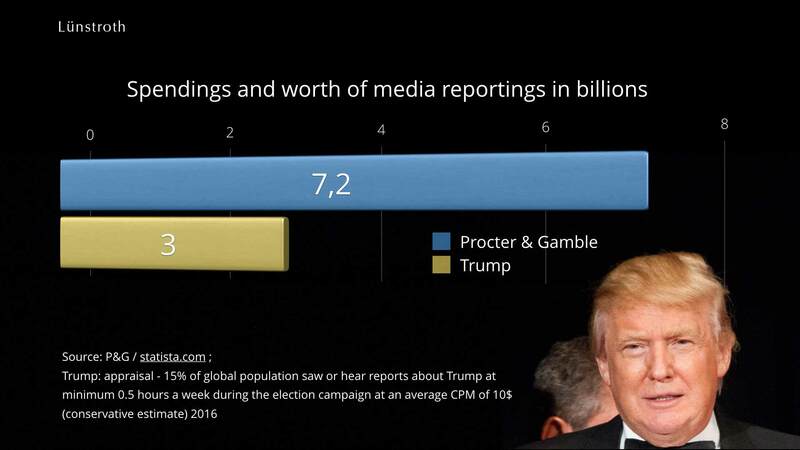 That’s the quantity point of view of marketing relevance; the quality (associations of Trump brand) is more difficult to grasp. However, the polarization is irrefutably. A plain analysis shows positive aspects outweighing the negative ones as compared to international standards (just like the election result). But only if the initial contact with the stimulus was neutral mere-exposure-effects have a positive impact. Only with a non-negative first contact people tend to develop a preference for this stimulus. If the initial contact is negative, the aversion amplifies with every repetition. That’s the reason for the extreme polarization of the Trump brand association. What’s about the brand value? Donald Trump contends that his net worth is in excess of $10 billion and his brand value amounts to $3.3 billion. FORBES estimates his net worth in December 2016 to be $3.7 billion and the the brand value in June 2015 (before the presidential campaign) at $125 million. During the campaign Trump himself was the slightly elite „angry white guy“, whose voters were „a bit older, less educated and earn less than the average Republican”. So the Trump brand reflects the target group and reduces the brand greediness as identifying goal in the luxury sector. The initial target group boycotts the brand, because the „old“ brand image was not compatible with its own testimonial positioning. Love is blind“ – related to Trump this might be a symptom of extreme narcissism, so he can’t assess his behavior in relation to brand appeal. This in turn implies that the advertising value is not only causally determined with the brand awareness, but also responsible for plummeting brand values. The hotel accommodation bookings are plummeting. According to BOSTON GLOBE they are decreasing by 30%. So, too, were the sales of apartments at Trump condos, according to CURBED. From October 2014 to October 2015 159 apartments were sold while the number of sales fell to 117 between November 2015 to October 2016. That’s a 26% decrease. Because of his high media presence and the repeated contacts with his person, he amplifies the aversion of more sophisticated target groups against himself and his brand. Possibly his narcissistic procedures show up in the Dunning-Kruger effect: Trump is so incompetent, that he fails to recognize his own incompetence and thinks in opposite he is more competent than anyone else. His public appearance should convince his voters of his perception disorder (“the best”), as a sort of self-fulfilling prophecy. 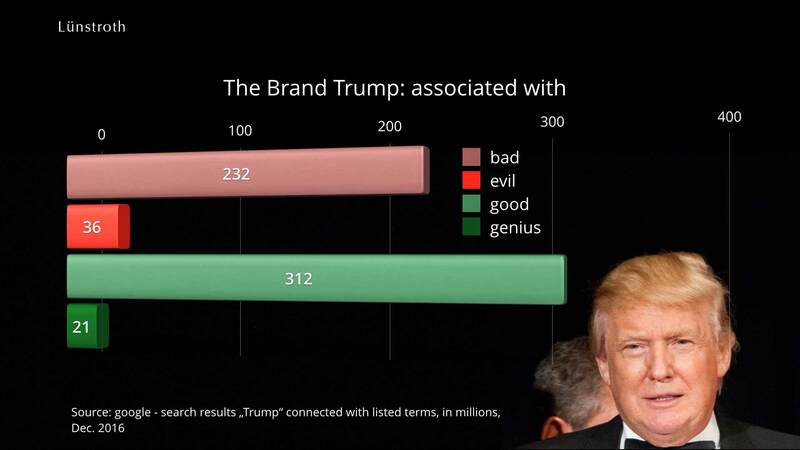 In a study BRAND KEYS tracked Trumps brand added value at different specific moments in time; in April 2016, after his official nomination in July 2016, after the release of the Tape Scandal in October 2016 and after his election in November 2016. 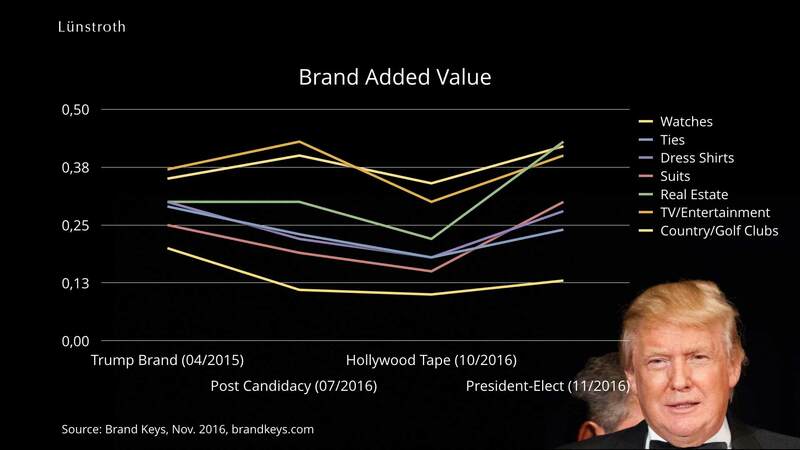 Despite the fact that the „Hollywood Tape” affected the Trump brand negatively, BRAND KEYS considers “that adding the Trump name increased the perceived value of products or services anywhere from 20% to 37%” (The percentage is related to the added value of the branded product or service in relation to a generic no name.) 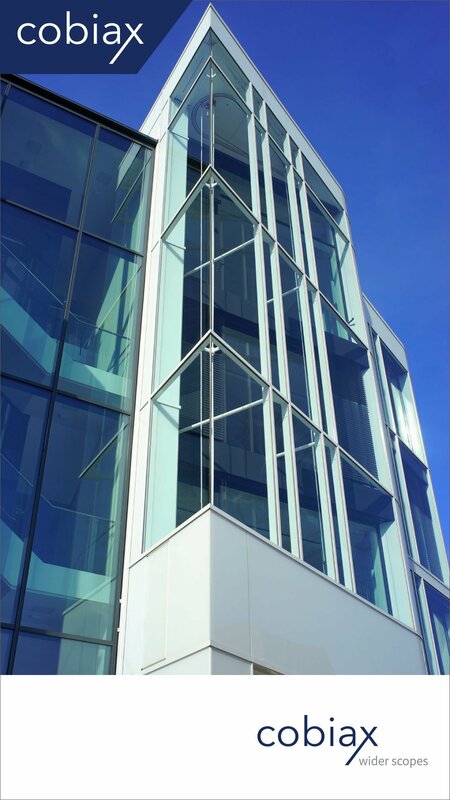 The brand added values decreases – in spite of the speculations – in the luxurious sector. But: The study only refers to the USA. The brand awareness has gone up but by now there are no studies about the international awareness. It’s quite possible that this awareness could be capitalized globally within Trump affine target groups. If Trump really is the ingenious business guy, as he sees himself, one can be curious about his coming actions. The international growth of the brand equity allows actually just one strategy – to use the brand internationally, in other words to expand worldwide businesswise for satisfying the demand. Not in the luxury sector, but in medium areas. These are big enough around the globe and 3 billions have been “spent” already.